If you'd like to change your shipping address, you can do it in your end before the shipment. 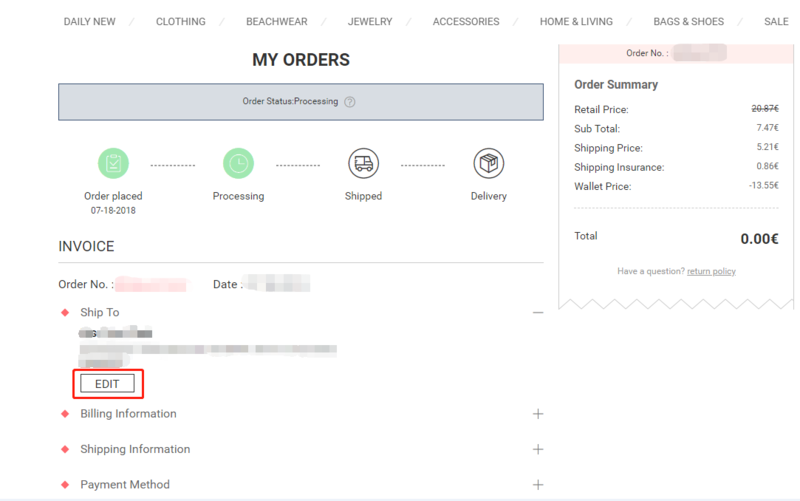 First please login your "My Orders" program and then click "Track Order Details". Find "EDIT" button below your "ship to" column and then change in your end. Once your package shipped, we will not be able to change the shipping address. And we are unable to cancel an order after shipment. Please keep an eye on your order status by checking "My Orders" to make sure you can receive your order.